If you are looking to dominate all search engines for your specific keywords, then talk to us about your current strategy and what you want to achieve. Search Engine Optimization is not an overnight job, it takes patience and a professional to get steady results. Proper tactics will cause a "snowball" effect until you reach the top spots in Google. 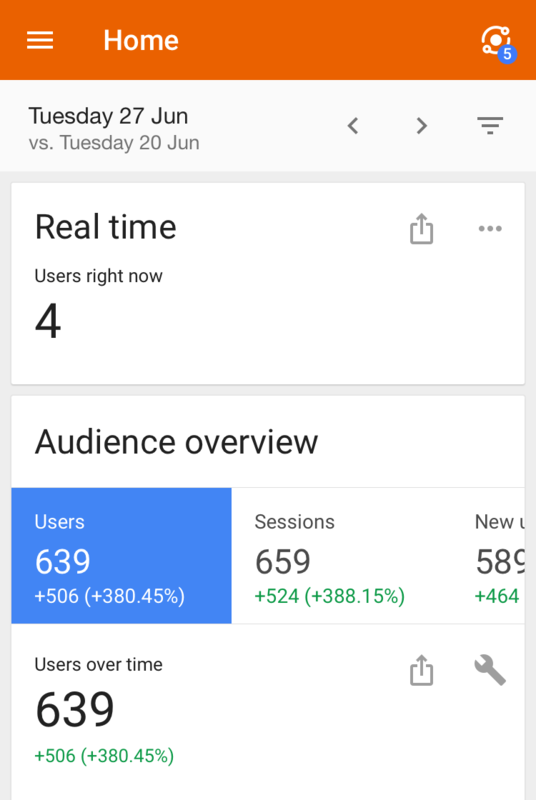 The Google Analytics screenshot case study shown is a prime example of the effects of SEO for a new website. 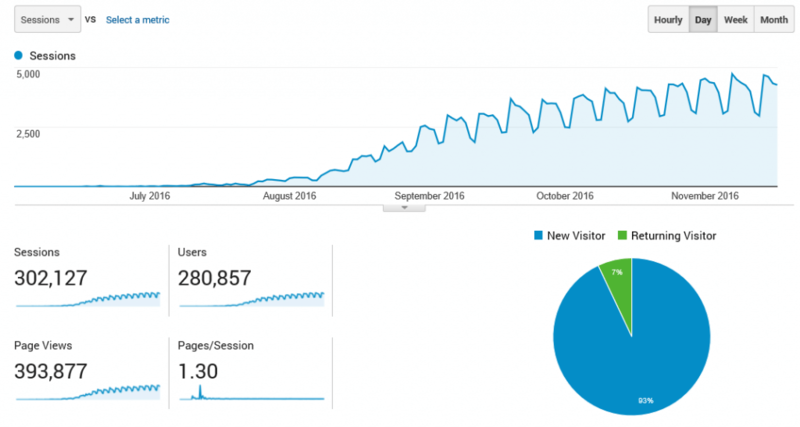 We took the website from 0 visitors per month to 100,000+ per month in less than 6 months. The website was very large that made achieving these sort of numbers a walk in the park for an experienced SEO specialists. However, dependent upon your website, an extra 1,000 users a month may be the difference between £10 or £100,000 in sales. Before planning a strategy and executing it, all SEO problems that are ruining your rankings and allowing your competitors get ahead need to be identified. When we perform an audit, we look at the code, content, backlinks and review the competition and decide what approach to take. Many people will just use a free "SEO Analyzer" tool as their auditing but bare in mind that these are often very limited. The team at WebSpection use a range of paid "SEO tools" after we have performed a professional audit to ensure all bases have been covered. If you know a small amount about SEO, you will know that the links your site receives is a big factor in the search results. A great quote from Google themselves is that "a link from a site is regarded as a vote for the quality of your site". The important part of disavowing links is removing the correct ones. I've heard horror stories of people simply removing all of their links and starting clean. This has simply wiped out their Off Page SEO when there was no actual need. Only remove links that are damaging such as spam or Black Hat style links. 99% of the time the clients we take on at WebSpection have major keywords within their field that they are yet to target. We ensure that these are not missed and optimize all keywords within the companies niche. Using tools such as Google Trends, Google Keyword Planner, SEM Rush and more, we are able to find untapped keywords to use to your advantage. Many SEO agencies will not touch the technical side of things but WebSpection are the only Cardiff SEO Agency that will. Technical SEO can be in the form of mobile rendering, server and page errors in webmaster tools, SSL certificate installations, page speed, structured data and much more. Google have announced the Mobile First Index, which will mean all sites will be indexed via their mobile site as opposed to their desktop site. Failing to have correct SEO for both version will see a drop in rankings. Are you ready for the Mobile First Index yet? Optimizing the content and site source code to improve the page rankings in the SERP results. On Page SEO is constantly changing and falling behind will see a drop in rankings. Keywords, meta tags, formatted structure and much more. I cannot stress the importance of perfecting your On Page SEO. Content is King and it always will be. Just as important is the Off Page SEO of your website. It refers to the backlinks your site has gained as well as the external signals. 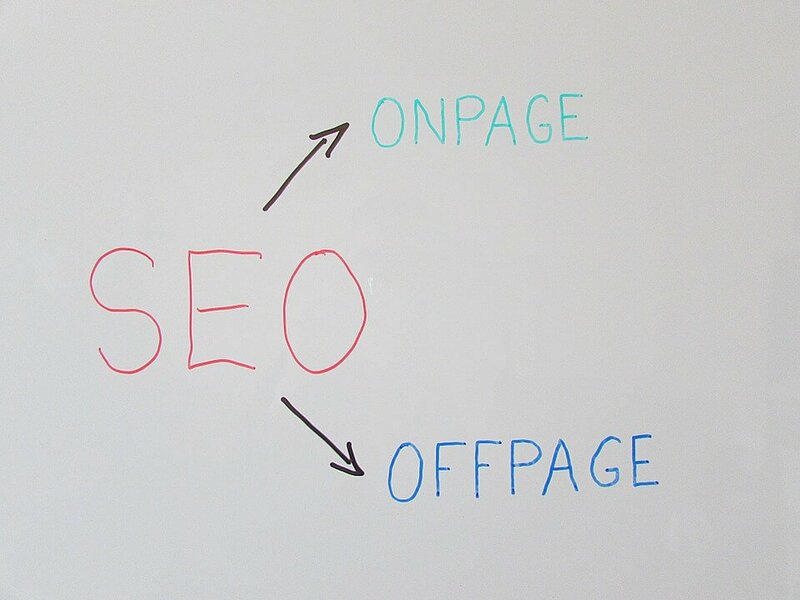 Off Page SEO gives search engines an indication of how other users/websites perceive your website. Improving Off Page SEO will provide an increase in rankings and more exposure through link building, social media marketing and bookmarking. Your "Normal SEO" is much different to "Local SEO" with more factors that come into play such as business signals, location and more. This is all on top of the Normal SEO. Competition within the local search terms in built up areas can be particularly fierce. If you have not setup the three main Google functions above as a minimum, you will be struggling. A large number of our clients are within the Cardiff area and we've had great success across a wide range of different niches. If you are not tracking SEO strategies, how can you tell if they are working? Metrics such as search engine share, referrals, CTR, bounce rates and more are so important for measuring SEO success. It is critical that the tracking of strategies is carried out as frequent as possible. From using Google Analytics to Webmaster Tools, these provide all the metrics that will give you the confidence that the current strategy is working. A massive drop in website visitors and rankings will usually mean your website has been hit with a penalty or algorithm update. We are following Google and the top SEO guys for the latest updates on a daily basis. This means we are ready and armed to deal with any algorithm updates or penalties for any site. WebSpection are professionals with regards to internet marketing in Cardiff and carrying out SEO strategies that work. We are an SEO company that are passionate with any SEO work and put as much effort as if it were our very own website. Get in touch today for a FREE SEO Quote to boost your Google Rankings and Brand Growth. If you are looking to increase visitors to your site straight away, Pay Per Click Marketing is the alternative method.